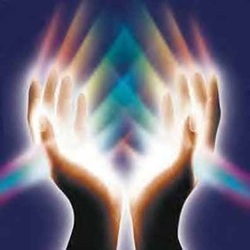 I am also certified in crystal and color therapy, kinesiology (muscle testing) and am a competent and experienced dowser. I am skilled in the use of homeopathic remedies, especially with energy support modalities related to raising puppies and adult dogs. I use raw diet and positive reinforcement training, and have experience supporting my own breeding program of show/performance dogs using homeopathic support for parasite and disease prevention. I use no chemicals or vaccinations, and can assist you with transitioning from traditional medical support into a gentler, less toxic holistic lifestyle for your pets. know if it misses a friend or gets overly excited around new people. 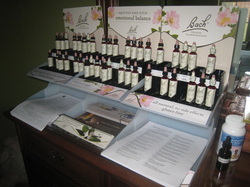 I am very experienced with Bach Flower Remedies and can remotely muscle-test you or your Animal to determine which of the 38 Remedies are most needed. These are made into a custom blend, packaged into a spray bottle with instructions, and sent by Priority Mail with Delivery Conformation to your home or business.